Versatile and portable meters for wherever your lessons take you. When it’s time to take students into the field, the OHAUS Starter Series of Portable Meters is ready to assist. 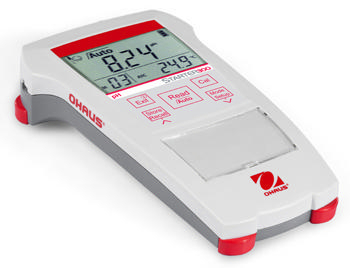 With an IP54 protection rating shielding the meter from water and/or dust damage, a minimum of 250 hours of operation time (over 500 hours on pH models) and 30 sets of data memory, OHAUS portable meters are the perfect (outdoor) lab partner for your students. 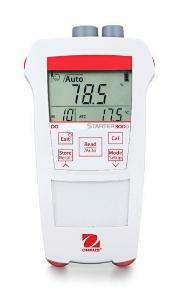 When the weather doesn’t cooperate or you just need additional versatility, the Starter Series of Portable Meters still has you covered. 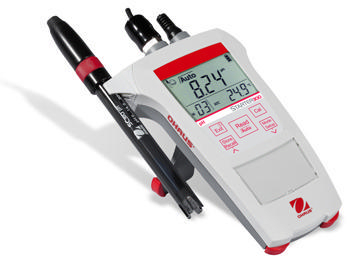 With their built-in lab table stand and the same intuitive software featured in the bench top models, the OHAUS portable meters are just as effective in your classroom or science lab as they are in the field. 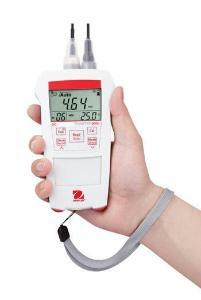 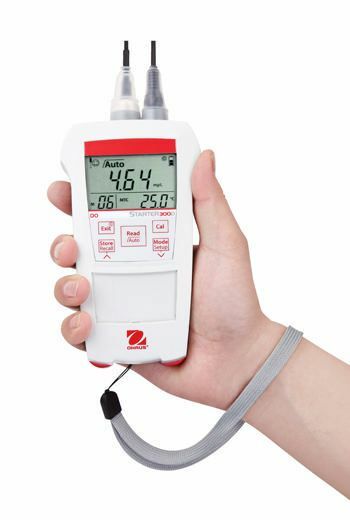 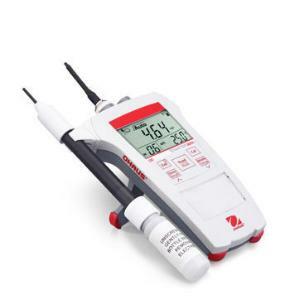 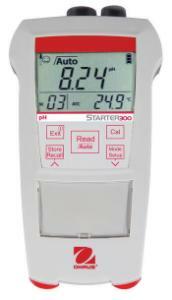 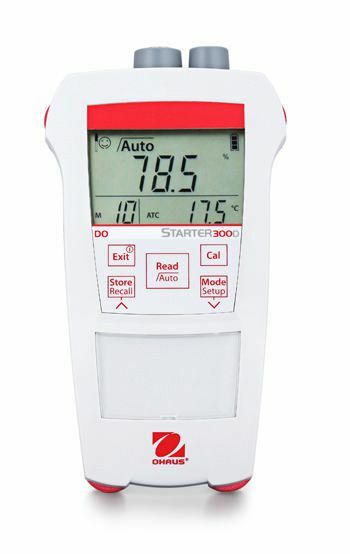 Starter 300 Marries portability with precise pH measurement. 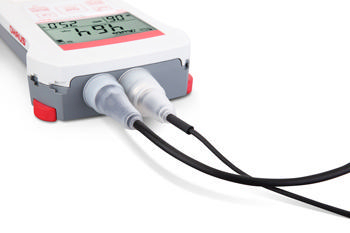 ORP, temperature and reference electrodes can also be easily connected to provide additional functionality. 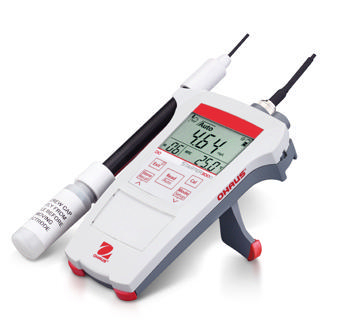 See Product Resources Tab for Specifications. 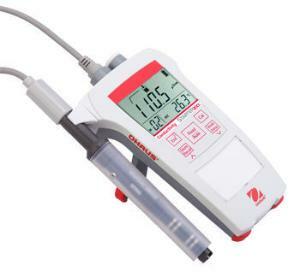 Starter 300C is the reliable and accurate choice for measurement of the conductivity and TDS levels of liquids. 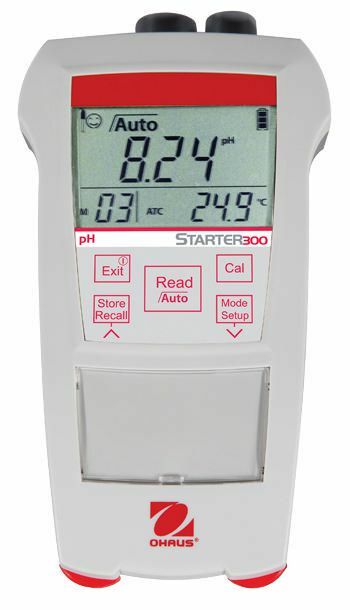 With a variety of features that protect the meter from more extreme elements, Starter 300C can be used for a variety of applications. 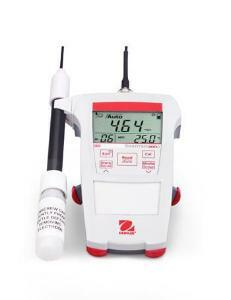 See Product Resources Tab for Specifications.